As of June 2018, there are over 1 billion monthly active users on Instagram. That’s 1 billion users all competing for your undivided attention, 1 billion users you need to differentiate yourself from. In the age of information overload, it is the Instagram accounts who can break through the noise and find unique ways to deliver content which come out on top. 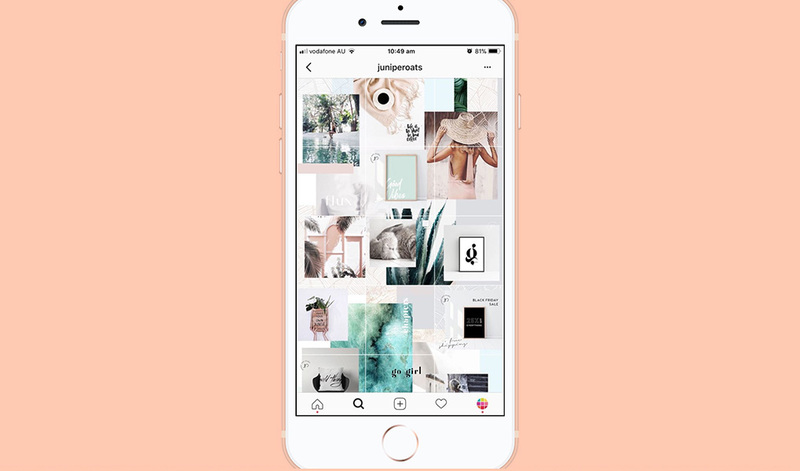 So here are 6 users who are using different elements of Instagram’s platform to showcase their creativity and inspire fresher ideas. 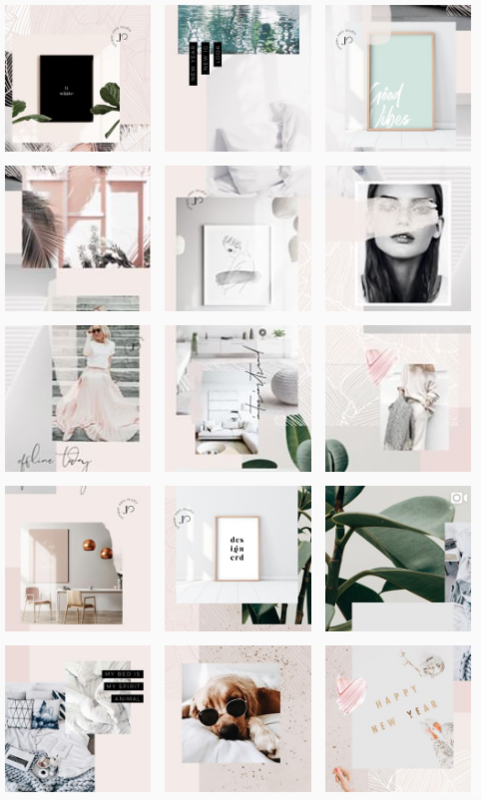 Whether it’s finding new ways to style the age-old grid, utilising video content with eye-catching effects or defining the game with Instagram’s newest features – we can all learn a thing or two from these groundbreaking Instagram accounts. While there is merit to anyone who builds an interesting feed, the real challenge for any content creator has always been: How do we build a unique and aesthetically pleasing grid without compromising on the quality of individual posts? Philadelphia-based artist Judith of @juniperoats successfully gets the best of both worlds with her endlessly interesting feed. Not only does it look spectacular as a collection, with each post weaving and interacting with one another in an infinite collage, but each individual post holds its own uniqueness and creativity. The past year saw a steep incline in video content on all social media platforms, and 2019 will be no different with a predicted 80% of all internet traffic to come from video. 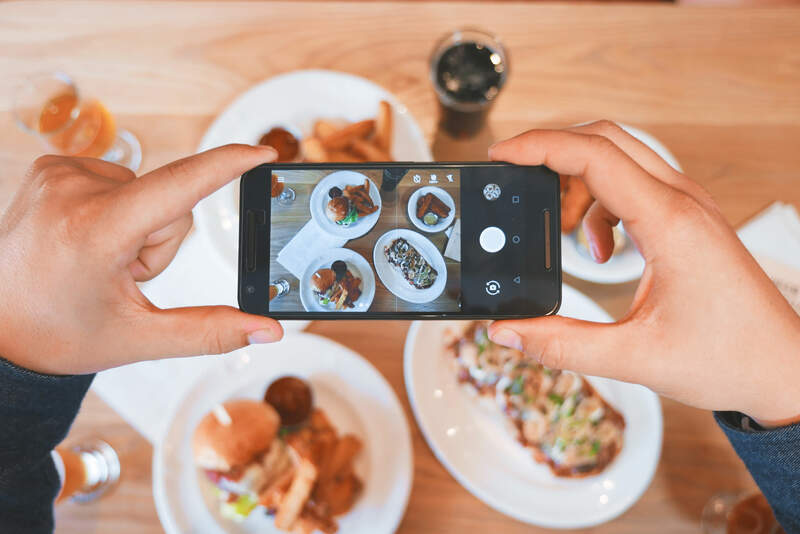 As more creators and brands utilise video to grab your attention (and wallet), the most important strategy moving forward will be finding innovative ways to create and present videos on Instagram. Fashion tech accessory brand Casetify is changing the game with their high impact videos. Not only do Casetify’s videos look visually pleasing with high-contrast colours and edgy products, they also utilise a variety of unexpected props, textures and effects to create short clips you simply cannot look away from. 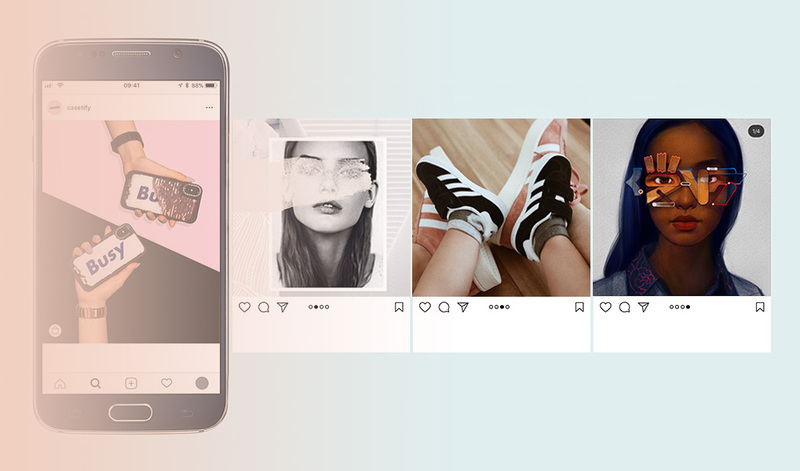 Since Instagram introduced its multi-post feature in February 2017, most creators have experimented with the form in one way or another. It became a great alternative to sharing albums of images on Facebook. Brands also used them to carousel their product collections – from clothing lines to menu items and more. Yet few have explored the full potential of this feature like arts and culture platform Booooooom. Taking advantage of the carousel’s inherent design, Booooooom plays with the shape and layout of each slide in order to connect the sequence, tell stories, and create an enjoyable and engaging user experience for anyone swiping left. We had the chance to interview director Stephanie Chong about her beautiful documentary series, @in_chinatown – a project made possible with funding from @storyhive, a platform which supports BC and Alberta-based creators. ✦ The project examines a rapidly changing neighbourhood in Vancouver through portraits of various residents. Hit the link in our bio to read the interview and watch the show. ✦ Photos shot for us by @jjudelee. Lifestyle Blogger Tarlie of @t.andk delivers visual consistency through her stories while still playing around with layout, form and font. 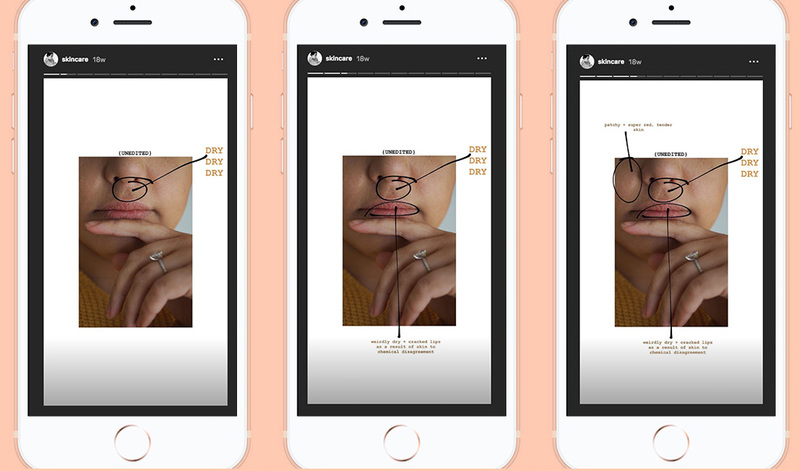 Importantly, she understands that users actively tap through stories, so her creative focus is often on having only one or two elements change with each tap. This effectively creates a more satisfying click-through experience unique to the Story function. 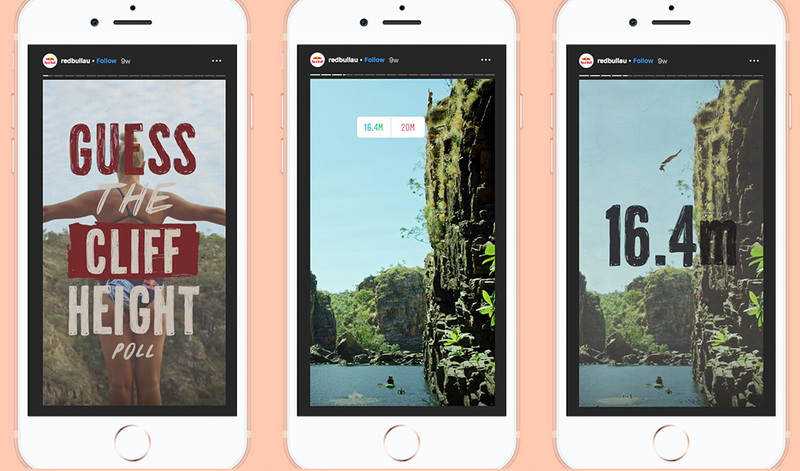 Most users will use their Instagram Highlights feature to pin their favourite stories to their profile. Those who take it a step further group these stories into neat categories – often adding aligning cover images. But the Australian Red Bull Instagram account has taken it to another level by creating Highlights which act more like self-encompassing episodes rather than collections. Each highlight is designed to be consumed as a whole without compromising on the elements unique to Stories such as polls and user-generated content. The newest addition to the Insta family, IGTV is still amidst growing pains as content creators and brands experiment with the feature. The biggest challenge is figuring out how to differentiate between the content that should be hosted on IGTV, and the content that could be shared elsewhere such as on YouTube, Facebook or even Highlights and the OG feed. But one account seems to have it all figured out already. 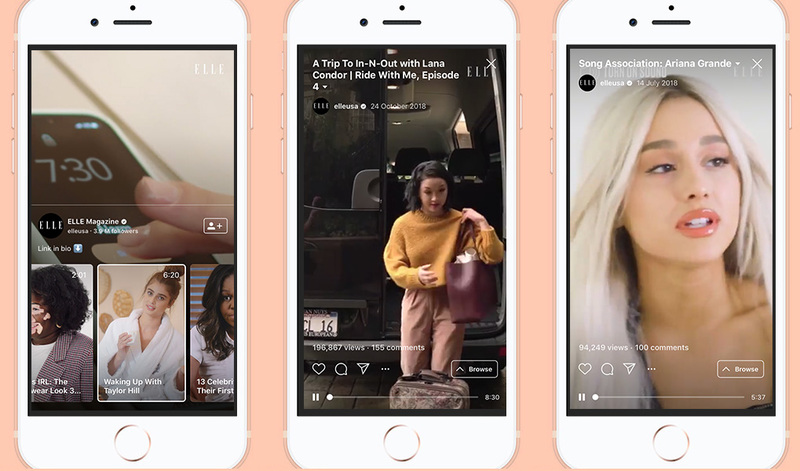 American women’s magazine Elle has already found their IGTV groove by establishing some consistent content pillars – both unique to the platform such as ‘Ride With Me’, and shared from other platforms such as ‘Song Associations’. Regardless, these pillars have been selected with the audience and platform in mind. All are easy to watch on the go, and suit the portrait frame due to minimal camera movement. Baya is a social media coordinator at Milkbar Digital. She loves the content creation and community management sides of the job. On weekends, you’ll find her falling down the YouTube spiral, cultivating the perfect Spotify playlist or obsessing over her pup, Lemon. Milkbar Digital is a Melbourne social media and digital marketing agency here to help business small and large. If you need help with your social media or don’t know where to begin, get in touch!